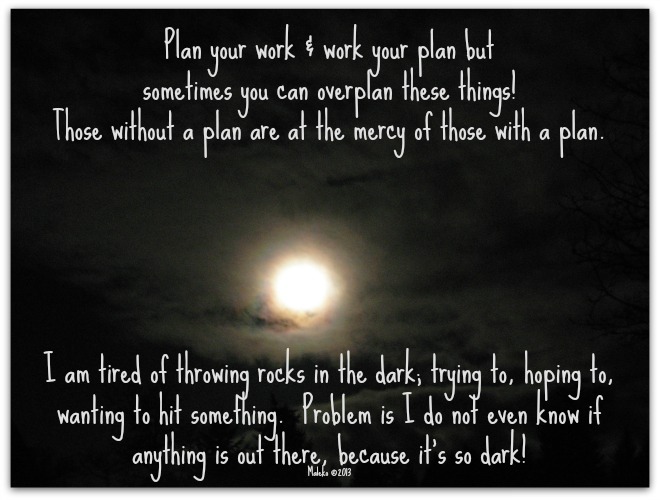 Have you ever felt like your life is just throwing rocks in the dark hoping to hit something? Not sure if it is any use? This entry was posted in Adventure, Art, Photograph, Writing and tagged 2013, Art and Life, Faith, God, Life, Light, night, photo, Photography, Thoughts, Writing. Bookmark the permalink.